Robert Reid is a writer, videographer, editor, TV host and speaker based in Ho Chi Minh City, Vietnam. He’s spent much of the past two decades working with the world’s top travel brands. At Lonely Planet, he authored two dozen guidebooks and served as the publisher’s US spokesperson from New York. He’s also a National Geographic Explorer, working as their Digital Nomad for a variety of partner destinations (Mexico, Kenya, Thailand, USA), an at-large editor for the travel magazine, and traveling as an expert on National Geographic Expeditions trips to Myanmar, Switzerland and Italy. Robert regularly contributes to media like The New York Times, Wall Street Journal, USA Today, CNN, ESPN and The Los Angeles Times. He’s also appeared regularly on TV/radio outlets such as NBC’s Today Show and CNN to discuss travel trends and pop culture. He’s delivered speeches for National Geographic, TBEX, the White House Travel Blogger Summit, Visit Seattle and this one on sandwiches for Adult Education in Brooklyn. In 2017, he co-produced and hosted a 18-part video series for National Geographic Learning’s US history textbooks and hosted a five-part award-winning travel series for Star Alliance/National Geographic. In 2018, he hosted a National Geographic TV series on San Diego. 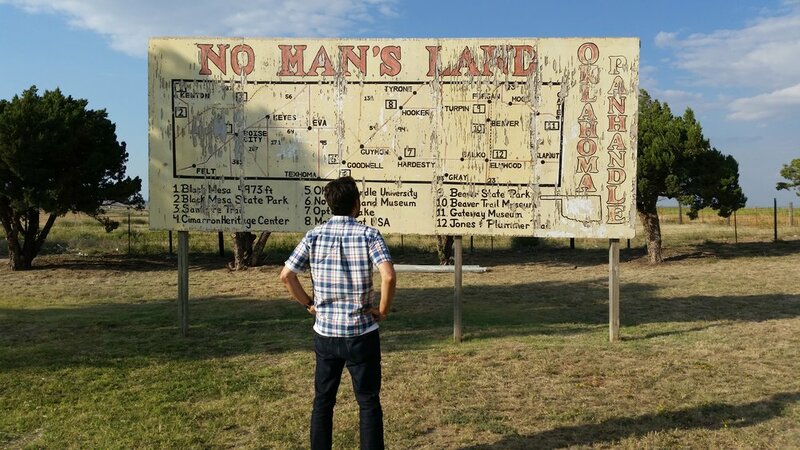 He’s covered six continents, but his favorite piece is the award-winning article on the Oklahoma Panhandle for Oklahoma Today. His You Tube channel features almost 150 travel videos, attracting over a million views. If you’d like to say hi to Robert, use our contact form. Robert has consulted on or produced video projects with National Geographic and Lonely Planet, and conceptualized and commissioned Modern Adventure’s online magazine. He consulted with Maine Woods, leading to an anniversary initiative that resulted in nearly a million dollars worth of media exposure on CBS. Robert frequently combines travel and music. His interview with Bruce Dickinson of Iron Maiden, video road trip using Billy Joel lyrics. and a Saskatoon rap song all made TV news. More recently he’s created Robert’s Record Corner, a regular venue for “GenXsplaining” the worth of vinyl and much of what goes on it.